Want to prepare a chutney which would surprise everyone? I give this chutney to my visitors and asked them to guess the ingredients of the chutney. When they give up, I tell that the chutney ingredients is Guava. Everybody gets a pleasure surprise. Why don’t you try it yourself? 1. Heat oil in pan, add split gram dal and red chillies. Saute for a min. 2. Then add cumin seeds and pepper corns. Fry till nice aroma comes out. 3. Now add the chopped tomato and fry till the tomato becomes mushy. 4. 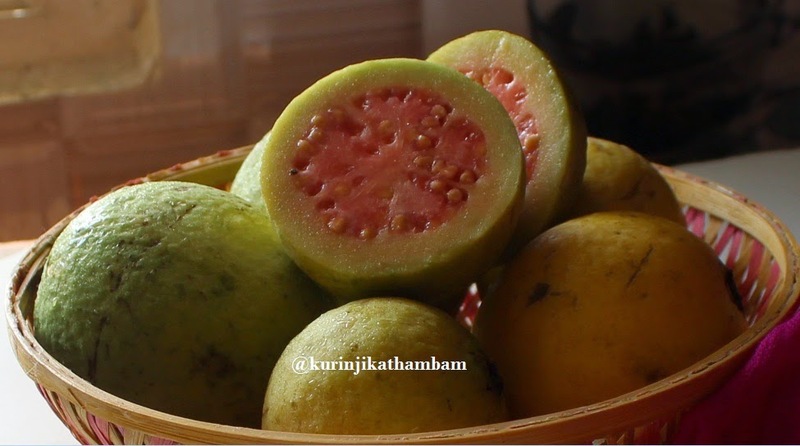 At this stage, add the chopped guava fruit and fry till it becomes mushy. 5. Switch off the flame and add coconut and salt. Allow it to cool down and grind with little water. 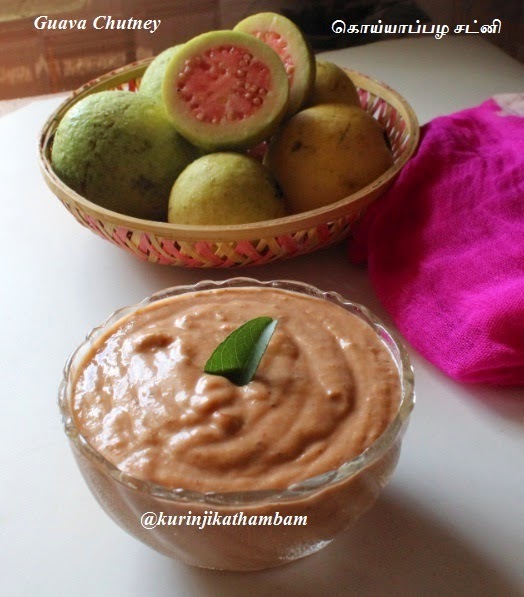 Really aromatic and yummy Guava fruit chutney is ready to serve. This goes well with all varieties of Dosai and especially with Ragi Dosai, MixedMillets Idli and multigrain dosai. Looks good.. never tasted it before. 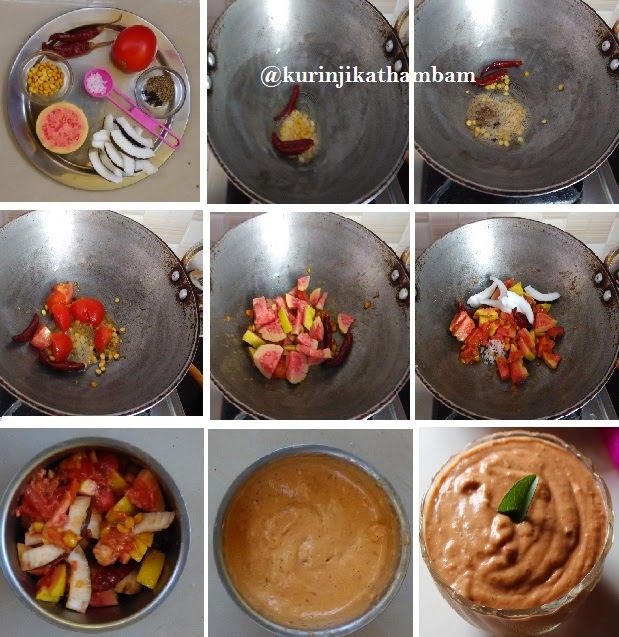 sooper loing this new looks of ur blog kuriniji.. yummy chutney btw.. hv only tried juicing these guyavas..
Guava chutney is new to me, sounds very innovative, I'm going to try! Loved all your innovations..the picture is amazing! 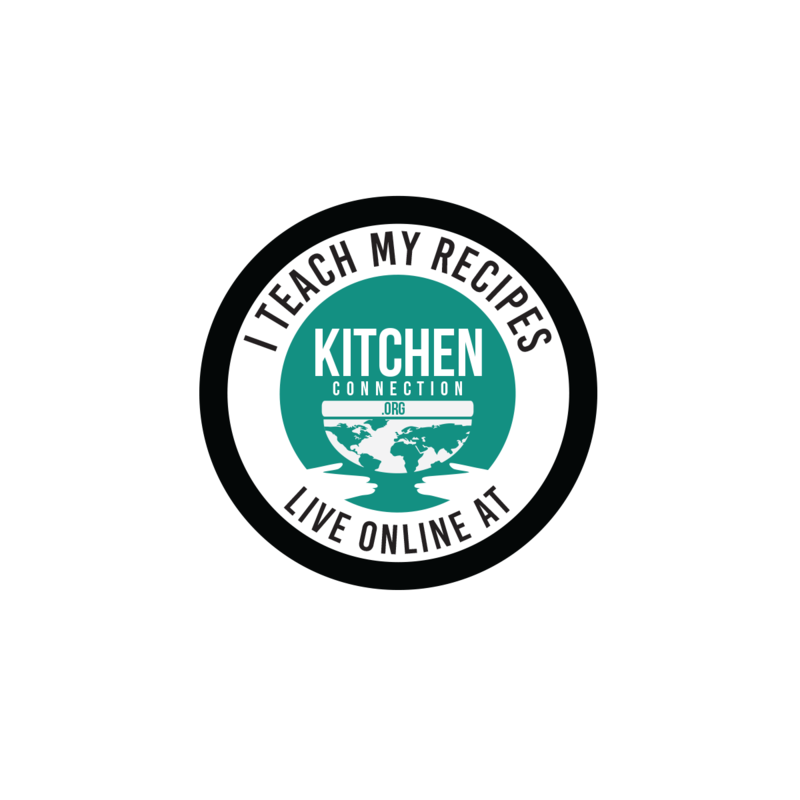 Great recipe and love your new look!